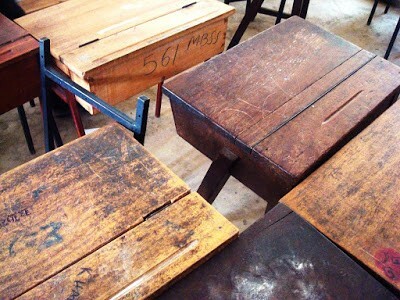 Weathered school desks etched with initials and expletives, nicknames and tally marks, these may well be the hallmarks of traditional education. After all, these are gouges made while hiding in rows, lines doodled whilst lost in lectures. Even crammed in a corner, they evoke time honored alphabetical seating and desk-side recitations, multiple choices tests and composition exam books, raised hands to be called upon and ten-points-off for late work. They should make me cringe. I think they are gorgeous. Age brings out browns, blondes, reds and blacks in the wood, once factory uniform, each is now as unique as the students who once sat beneath. The graffiti and wear marks relay the accumulation of experience, every day and every moment, building upon what came before, the history of that space persisting year to year. Those desks were home to tears and snickers, guffaws and gripes; they bore witness to the announcement of national tragedies and kept quiet counsel to budding romances. The modern classroom, for all of our project based learning and design thinking, for all of our habits of mind and growth mindsets, for all of our coding and robotics, social media and digital storytelling — its furniture? Sterile. Soulless. Flat. Empty. Old desks. Vintage textbooks. Retro ephemera. I love to surround myself with such opportunities these time capsules present. Were I permitted, my classroom would use only worn-well furniture of the mid-twentieth century, and had I my druthers my curriculum would integrate ideas of the same. To remind myself and my students constantly that we are part of a continuum, an evolution, that people and thoughts came before and that perhaps, just perhaps, they were on to something back then. As terribly misguided as our thinkers and creators may have been in some ways, were that poetry and science not to exist, were those rules of etiquette and systems of belief not to have been the norm, who is to say where we would be? Would we have this richness of contrast and comparison to inform our now? To design a podcast on an old desk? To build an app sitting in a red vinyl chair? To produce an animated interpretation of a classic poem? To develop a code of classroom values in response to an educational health film morality play? Our past and present may co-exist in our classrooms. I think we’re the richer for it. The above is my first foray into Steve Wheeler and Amy Burvall’s world ofblimage. Steve posted the image above as challenge to others: write a post about learning based on it. In turn, I must now post an image of my own and challenge my readers to create a blimage, a blog informed by image, based on my selection. Check out more of Dan Ryder’s thinkings on education on his Twitter feed,website, and Wicked Decent Learning . 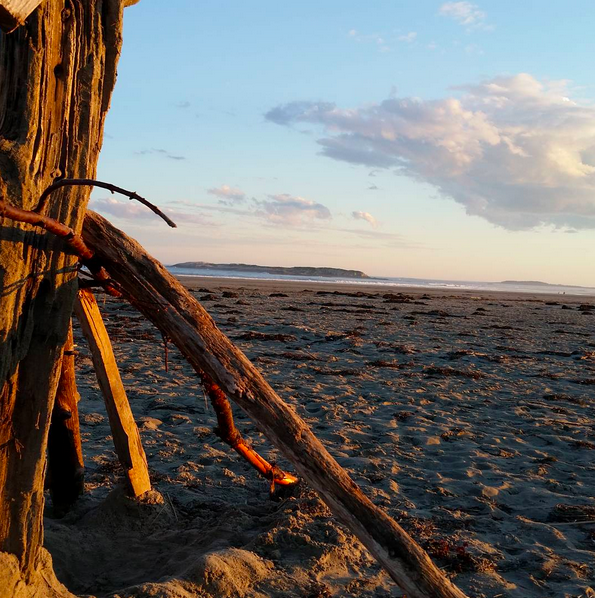 This entry was posted in Evolving Education and tagged Amy Burvall, Blimage, Blog, Dan Ryder, ed reform, ed tech, Education, education technology, learning, Maine, school, Steve Wheeler, teaching, tradition, traditional education, Wicked Decent Learning by Dan Ryder. Bookmark the permalink.